With the dramatic rise in globalization, businesses are becoming more complex. In order to account for these complexities, financial institutions have started providing a range of financial products and services. These financial institutions are incredibly important; they have been the lifeblood of businesses around the world, especially during the fluctuations of the market. Not only do they contribute to economic prosperity during times of economic upturns, but also become a crucial source of funding when the economy is not doing well. Yet, as the number of financial institutions increases, there is increased competition among them, which has resulted in a variety of products being offered to banking as well as non-banking customers at competitive prices. This creates a difficult choice for all the investors and borrowers who are looking for financial opportunities. Before choosing any product, it is better to compare it with other products in the market by looking at the features it offers. Moreover, reviews of these products help in assessing the reliability of the product. The reputation of an institution also counts. Institutions with good market standing often charge a relatively higher price for their product. Therefore, a potential customer has to evaluate not only whether he or she wants a financial or non-financial institution, but also the reputation of the institution and the services it provides. Banks have been one of the most common financial institutions around the world. But there are also non-banking financial companies (NBFCs) that carry out lending and other financial activities. Although there are similarities between NBFCs and banks, they also differ in many aspects. An NBFC, also called a non-banking financial company, is an entity that is registered under the Companies Act of 1956. The Indian government formed these institutions because it felt strongly about offering banking services to under-privileged individuals who found it difficult to access banks. The Reserve Bank of India (RBI) can register a company as an NBFC if it fulfills two criteria: (1) its financial assets make up more than 50 percent of the total assets and (2) the income from those assets makes up more than 50 percent of the gross income. An NBFC is not a bank, but it provides lending services similar to banks, such as offering advances, savings, and investment products and managing stock portfolios, credit facilities, money market tradings, money transfers, etc. Moreover, NBFCs are also involved in activities like housing finance, hire purchase, venture capital, leasing, and infrastructure finance. These institutions only accept term deposits and do not entertain deposits that are repayable on demand. ICICI and SBI Factors are two examples of non-banking financial companies. NBFC institutions fall under different categories: (1) an investment company with its principal business the acquisition of securities, (2) a loan company, (3) an excluding asset finance company, (4) an infrastructure finance company with at least 75 percent of its assets in infrastructure loans, (5) a systematically important core investment company, and (6) an infrastructure debt fund. To ensure that these institutions function properly, the RBI has issued rules and regulations for accepting deposits, such as a compulsory credit rating, a compulsory management of liquid assets for repayment to depositors, exposure limitation, depositing books, adequate capital maintenance, and inspection of the NBFCs. 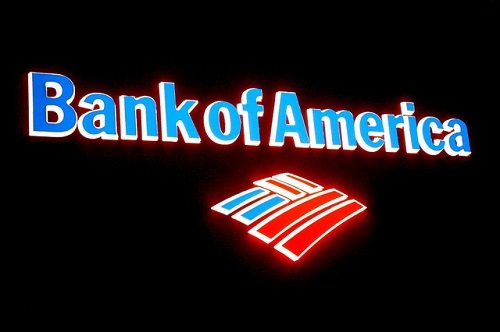 Banks, on the other hand, are financial institutions that come under the authority of a government. They carry out banking activities, such as granting loans, accepting deposits, managing withdrawals, providing utility services, and clearing checks. Banks are the pinnacle institutions in any given economy; they control a country’s financial system. Their role as financial intermediaries, between depositors and borrowers, makes it possible for an economy to function smoothly. There are different types of banks; for example, there are public sector banks, foreign banks, and private sector banks. Their responsibilities include creating credit products, lending loans, managing deposits, securing money transfers, and providing public utility services. However, banks are broadly categorized into central banks and commercial banks. Every country has only one central bank, but there is no limit to the number of commercial banks. Shareholders are the actual owners of banking institutes, and banks operate with the intention of making profit in order to increase shareholders’ wealth. There are a number of differences between banks and NBFCs. The first and key difference between them is their level of authorization. NBFCs are not required to hold a bank license in order to provide banking services to the public. On the contrary, banks are authorized by governments, and their ultimate goal is to serve the general public. As already discussed, NBFCs were formed under the Companies Act of 1956. Banks, on the other hand, were registered under the Banking Regulation Act of 1949. Thus, the institutions follow different rules and regulations for the provision of services. Demand deposit or DD is a fund from which an individual can withdraw a deposit at any time from the financial institution. NBFCs do not accept DDs for any financial transaction. However, these accounts are widely used in banks for making payments. The Reserve ratio is a part of the depositor’s balance that must be kept by a bank as cash as dictated by the central bank in most countries. There is no requirement for NBFCs to maintain a reserve ratio in order to function in the economy, but it is obligatory for banks to do so because it affects the supply of money in a country at a particular time period. NBFCs are allowed to make a financial investment of up to 100 percent, which is substantially higher than the percentage allowed to banks, i.e., 74 percent. NBFCs do not form a part of the payment and settlement system, whereas, banks are considered to be the core of that system. The facility of deposit insurance offered by the Deposit Insurance and Credit Guarantee Corporation is not available for NBFCs, but banks can certainly use this facility in order to safeguard their clients’ money. There are a number of other differences between the functions provided by both types of institutions. For example, unlike banks, NBFCs are not allowed to collect deposits nor can they issue checks. Moreover, NBFCs cannot be involved in industrial or agricultural activities, nor can they participate in property construction. Also, banks can issue demand drafts, but NBFCs cannot. It is very important to learn the differences between these institutions because the right institution can help you make better decisions according to your financial goals. With the rapidly changing market trends, every cent counts, and so, choosing an institution is one of the key decisions you have to make. This will not only allow you to plan effectively, but will also enable you to make adjustments in your plan in case any change occurs that is not in your control. Hira Waqar. "The Difference between NBFCs and Banks." DifferenceBetween.net. January 17, 2017 < http://www.differencebetween.net/business/the-difference-between-nbfcs-and-banks/ >.